Beautifully and lovingly restored Fairey Huntsman 28. 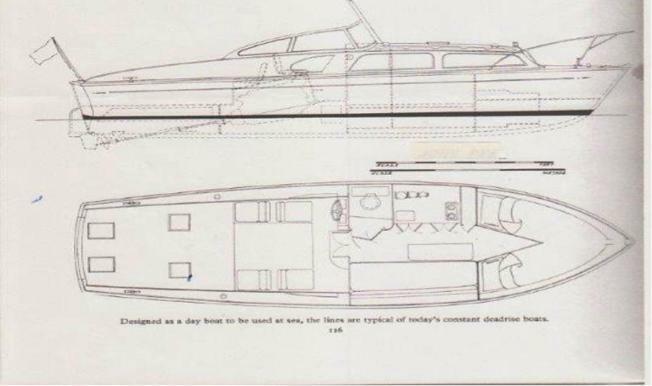 Designed by Alan Burnard and originally built by Fairey Marine in 1965. Bought by the current owners in 2005 and restored by them really nicely. 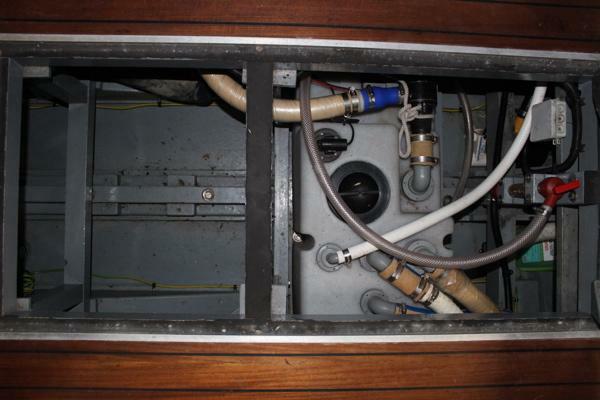 Re-launched in 2012, maintained to the high standard of the restoration ever since and stored inside each winter. 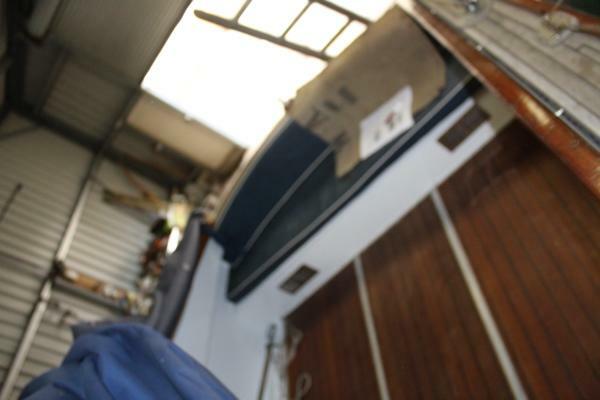 Extensive photographic and invoice records of all the work carried out. 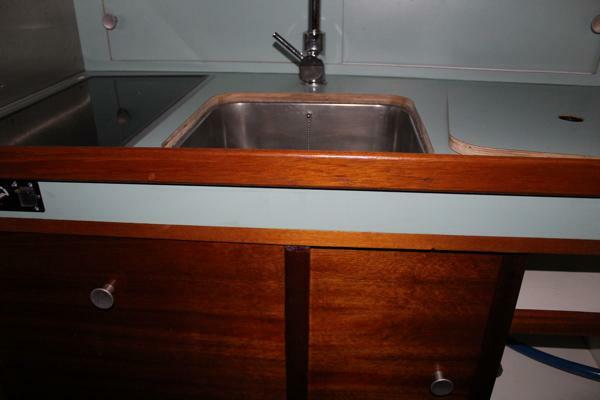 Hot moulded, mahogany laminate, deep-vee hull. 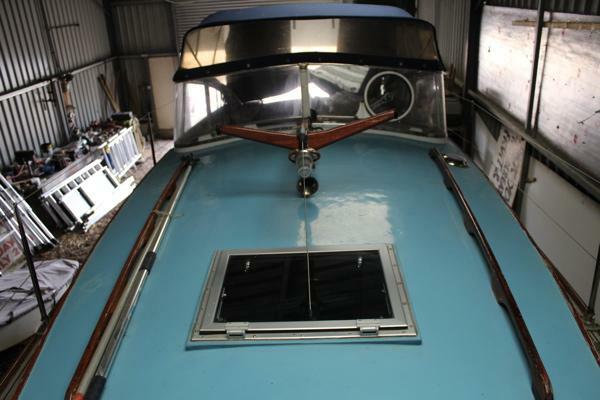 Topsides sprayed white to a high gloss finish and the transom is finished in high gloss blue. 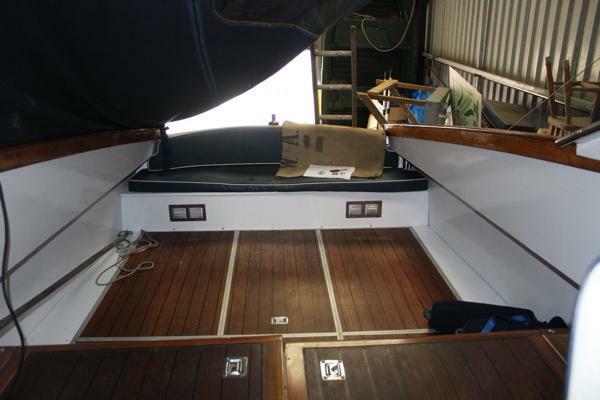 Teak laid side decks and cockpit sole. Varnished timber superstructure. Blue painted cabin top with (recently) varnished grabrails and trims. Solid trim plate on transom. Flexibly mounted in sound deadened compartment beneath cockpit. Skeg supported shaft drive to fixed pitch bronze propellors. Ignition panels with repeaters on to chart plotter for engine management systems. Approx 200 hours run since installation and regularly serviced by local Volvo agent. 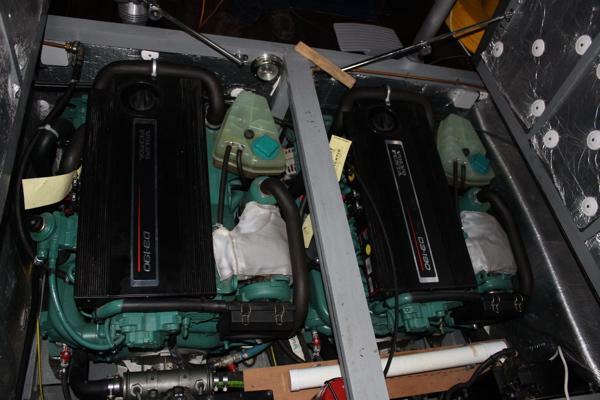 12v system – 2 banks of 2 12v batteries. Each bank charged independently by engine driven alternators. 12v interior lighting and navigation lights. 12v distribution panel. 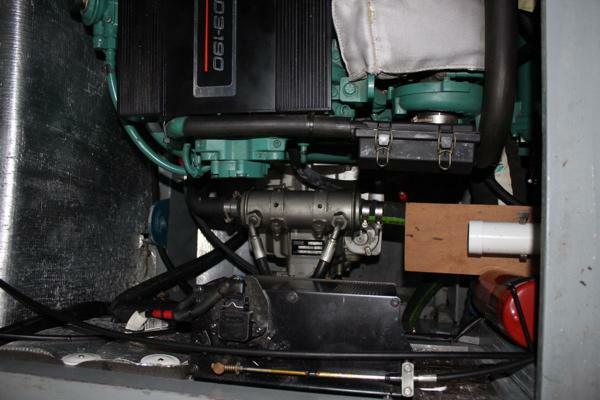 240v system – Shore power cable to inlet on transom. RCCB with distribution panel. 240v outlets, Sterling battery charger with splitter to each bank and immersion heater. 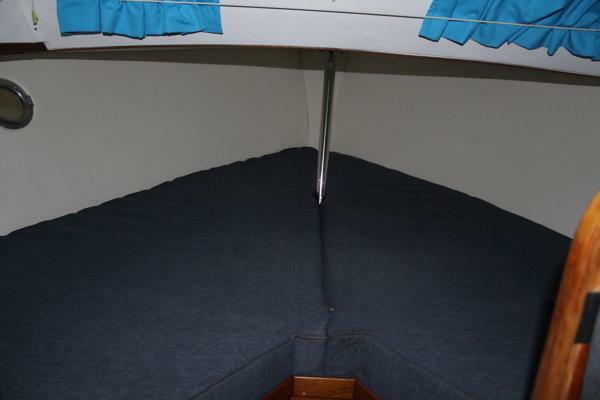 From forward – Large v-berth with infill (this was lengthened slightly during the restoration), storage below. 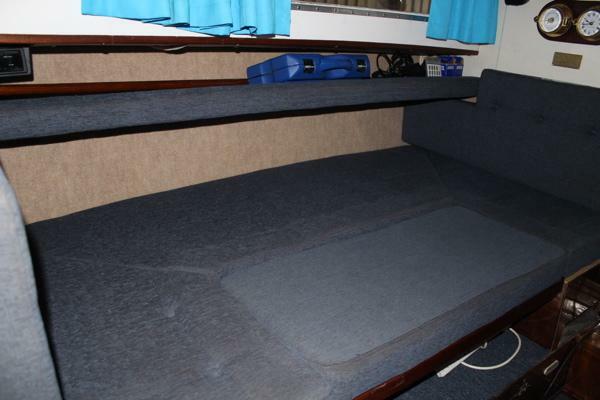 C- shaped settee to starboard with lowering dining table to form double berth. 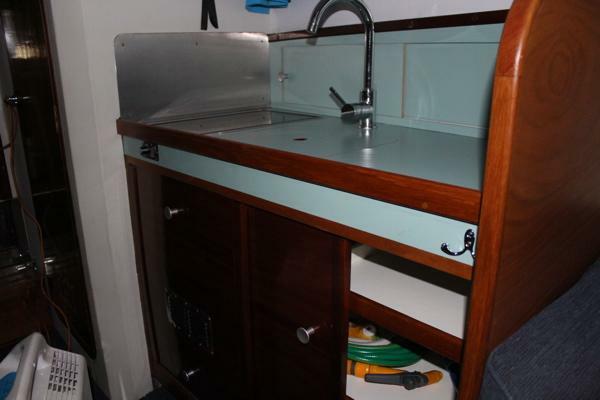 Galley to port with stainless steel sink and hot and cold water. 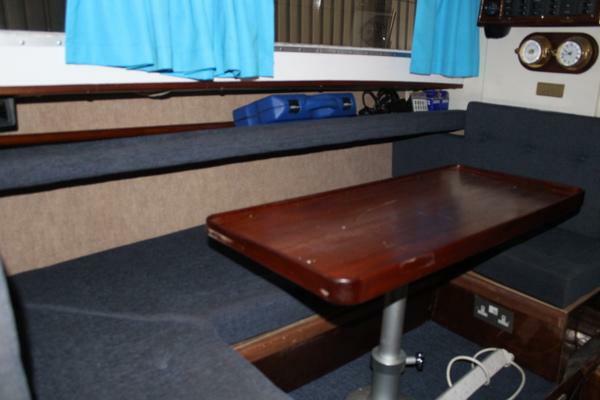 Blue upholstery throughout. 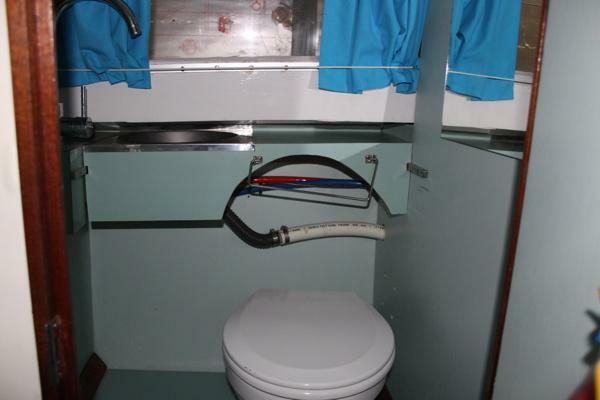 Heads to port with manual flushing sea toilet and sliding sink with hot and cold pressurised water. Steps to sheltered helm and co pilot station. Windscreen with canopy for shelter over helm and co pilot.Folding adjustable helm and co pilot upholstered seats. 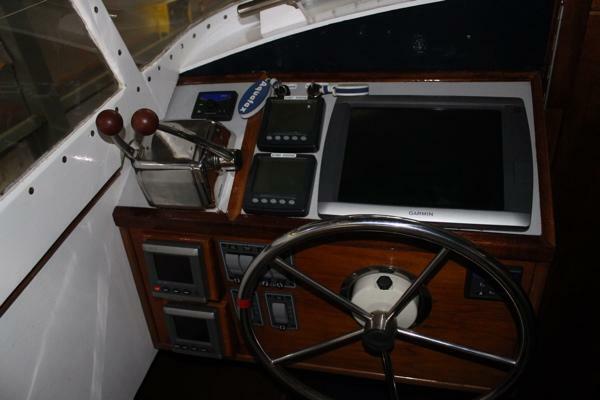 Large cockpit with bench seat aft. Stainless steel pulpit and stanchions. Stainless steel guardwires along sidedecks. 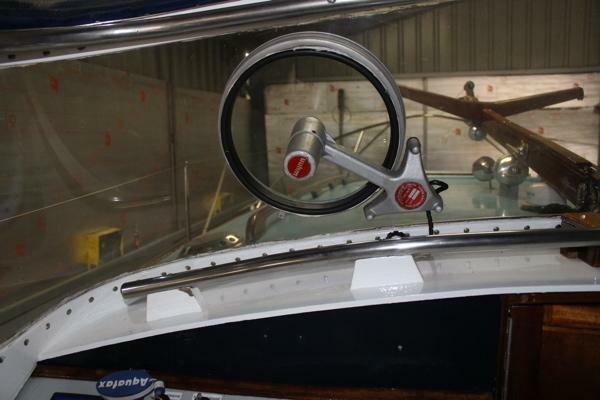 Varnished grabhandles on cabin top. 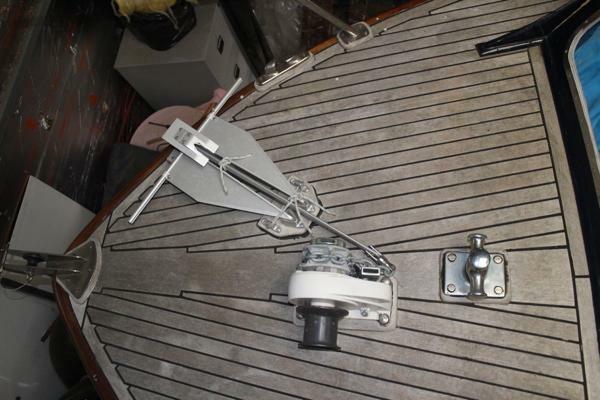 Manual windlass with deck mounted anchor. Stainless steel Sampson post. 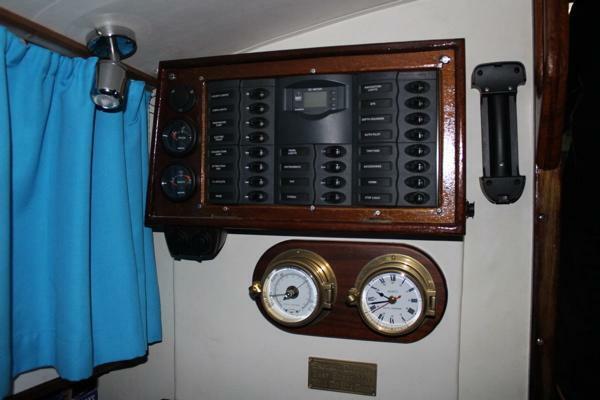 Varnished mast for courtesy flags, nav lights and aerials. Anchor, chain and warp. 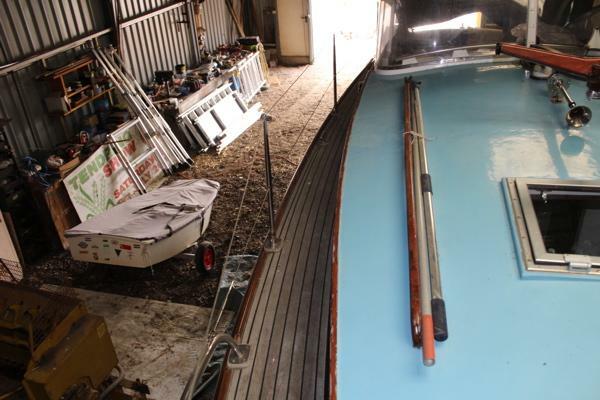 Mooring warps and fenders. Canvas shelter over helm and co-pilot. Tonneau cover for cockpit. Cockpit cushion. Stainless steel, transom mounted bathing ladder. 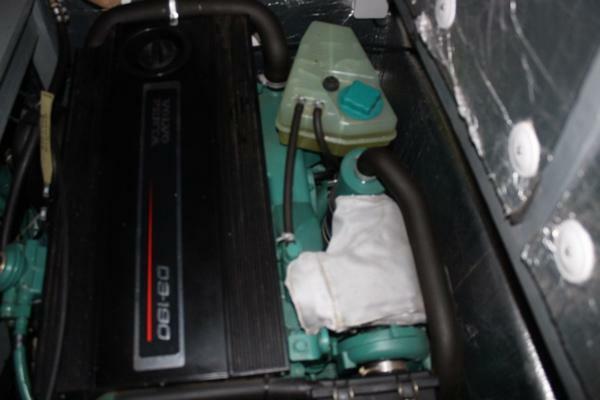 Automatic fire extinguisher in engine compartment. 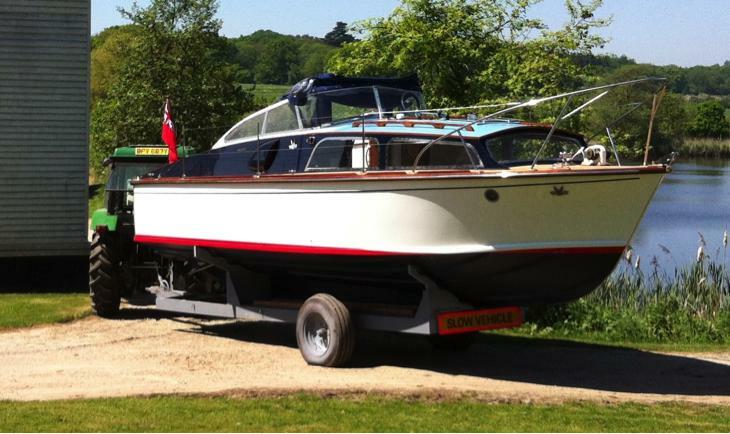 The Fairey Huntsman 28 is a true classic sports motorboat. Designed with fast and comfortable passages in mind. “Shikari” has been extremely well restored and maintained and is offered in beautiful, “Ready to go” condition. Really well worth viewing.